A New Book Launch To Look Out For! ​In the past, I’ve reviewed two wonderful books by Shubha Vilas, Ramayana- The Game Of Life: Shattered Dreams: Part 2 and The Stolen Hope: Book 3. You can check out the reviews by clicking their names. 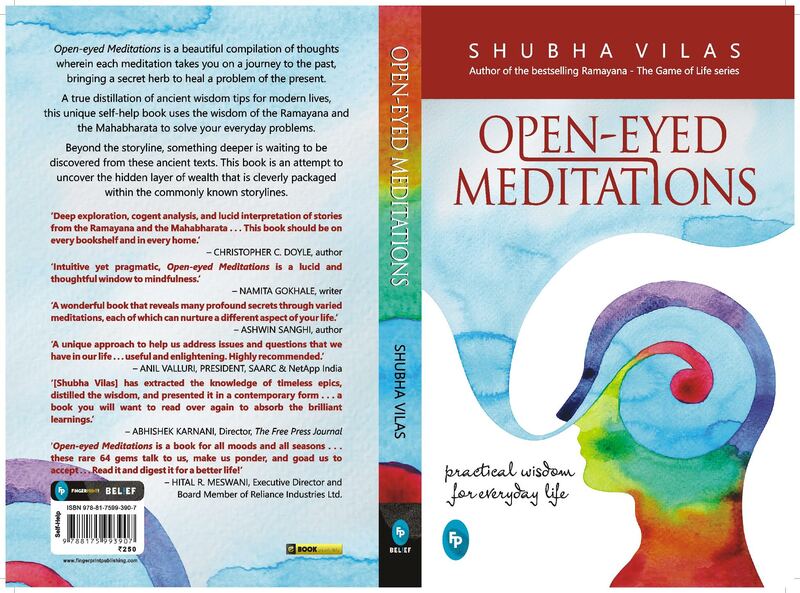 The depth and details with which Shubha Vilas writes is terrific and recently I got an e-mail from him about a new launch of his book called ‘Open Eyed Meditation’ which surprisingly is NOT in line with Ramayana series this time. Though it’s definitely related to Mythology. He shared the book cover and summary of his new book, which I was too excited to share with you guys. Looks exciting, doesn’t it? As you can see the price of the book is kept ₹250 which is a good deal I think since the priceless values and fun shubha vilas books usually offer. Though if it is really worth the money, we’ll find it when I review it for you guys very soon. Meditation essentially means perceiving deeper truths from within. For those who thought that meditation is a closed- eyed phenomenon, I beg to differ. And offer them Open- eyed Meditations, a book that shows another perspective to meditation. When you are open to life, life opens up to you. The upper limit of your ability to learn is determined by the upper limit of your desire to learn. Nature is actually a school that happily teaches eager students the secret lessons of life. Open-eyed Meditations is a collection of thoughts about various aspects of life that is purely inspired by observing the world through the lenses of the Vedic epics. Each meditation in the book deals with a modern problem that each one of us encounters in life and is accompanied by profound insights to those situations through a story or a character from the ancient epics. Why ancient epics? The reason being that there is something attractive about the epics like the Mahabharata and the Ramayana that has kept them alive century after century. Beyond the storyline, something deeper is waiting to be discovered from these ancient texts. This book is an attempt to uncover the hidden layer of wealth that is cleverly packaged within the commonly known storylines. Albert Einstein said, ‘Life is like riding a bicycle; to keep the balance one has to keep moving.’ For most people, there is no time to stop to learn how to maintain good relationships, how to become effective leaders, how to manage complications in life, and so on and so forth. They are already on the bicycle of life and most of the times speedily trending downwards. In such a delicate situation any quick tip to help retain the balance is always welcome! Thus, Open-eyed Meditations is a distillation of ancient wisdom tips for modern lives; a unique self-help book wherein each meditation takes you on a journey to the past, bringing a secret herb to heal a problem of the present. Whether you are dealing with complex dynamics of relationships or solving an impossible crisis in your life or coming to terms with embarrassing failures or struggling with important decisions or dealing with any kind of addiction, this book offers valuable nuggets of wisdom and action point resources to deal with it all. Open-eyed Meditations is a by-product of reading thousands of wisdom books, learning from thousands of wise men and keenly observing thousands of life situations. It is replete with intellectually stimulating analogies and quotes that will stick in your mind long after you have put the book down. It’s definitely not a one-time read, but surely warrants a meditative one. Every meditation is independent and complete. These meditations will provoke you to think about life in ways you would have never thought of. Water is all over the air, but when air is subjected to the process of condensation, we get water. Similarly, ideas/ thoughts are all over, but when subjected to the process of contemplation, they become accessible to us. When a thought is held for a long duration of time and processed through the machinery of contemplation, then life sutras are produced. Open-eyed Meditations is a book of ‘thought sutras’ that can become ‘life sutras’. Read this book the way a cow eats grass while ruminating. Chew on every word carefully till you have milky lucidity that nourishes every aspect of your life. This book will help you learn the art of meditating with your eyes wide open as you keenly observe the world around you and allow it to enlighten you. Deep exploration, congent analysis, and lucid interpretation of stories from the Ramayana and the Mahabharata… This book should be on every bookshelf and in every home. Intuitive yet pragmatic, Open-eyed Mediations is a lucid and thoughtful window to mindfulness. A wonderful book that reveals many profound secrets through varied meditations, each of which can nurture a different aspect of your life. A unique approach to help us address issues and questions that we have in our life… useful and enlightening. Highly recommended. Shubha Vilas has extracted the knowledge of timeless epics, distilled the wisdom, and presented it in a contemporary form… a book you will want to read over again to absorb the brilliant learnings. Open-eyed Meditations is a book for all moods and all seasons… these rare 64 gems talk to us, make us ponder, and goad us to accept…Read it and digest it for a better life! HITAL R. MESWANI, Executive Director and Board of Reliance Industries Ltd.
Shubha Vilas, a spiritual seeker and a motivational speaker, holds a degree in engineering and law with a specialization in patent law. In essence, he is an author, a motivational speaker, lifestyle coach and a storyteller par excellence. His leadership seminars are popular with top-level management in corporate houses. He addresses their crucial needs through thought-provoking seminars. He is the author of the best-selling book series known as ‘Ramayana – The Game of Life’ published by Jaico Books, that distills thought-provoking life lessons through the gripping narrative of the story of the Ramayana. As I said, in the coming days I’ll be sharing my review of this book. In the meantime, you can check out bookshops near you for the availability of this book, since it’s going to be launched this August. Exact date is not known to me yet. Also, Chetan Bhagat’s new book titled One Indian Girl is releasing this Diwali. I’ll be sharing details about the book soon in my next post. Till then don’t stop reading! 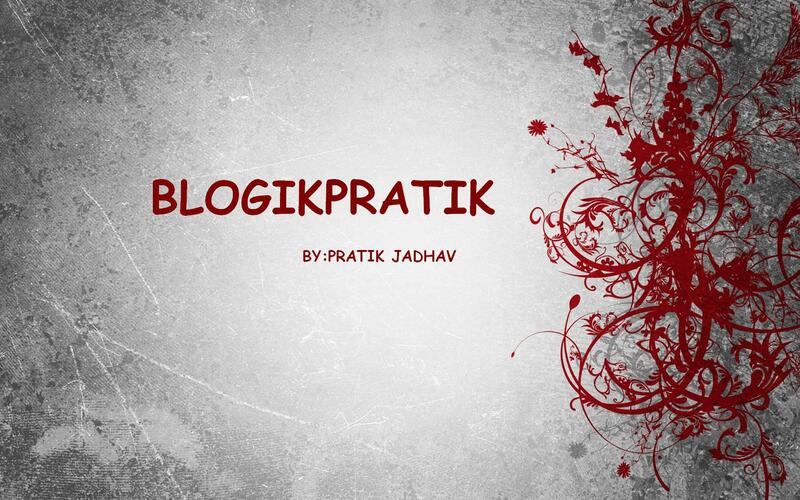 Please like, share and subscribe to the blog. Need your support. Thank you. ← My take on Tanmay Bhat’s snapchat video.